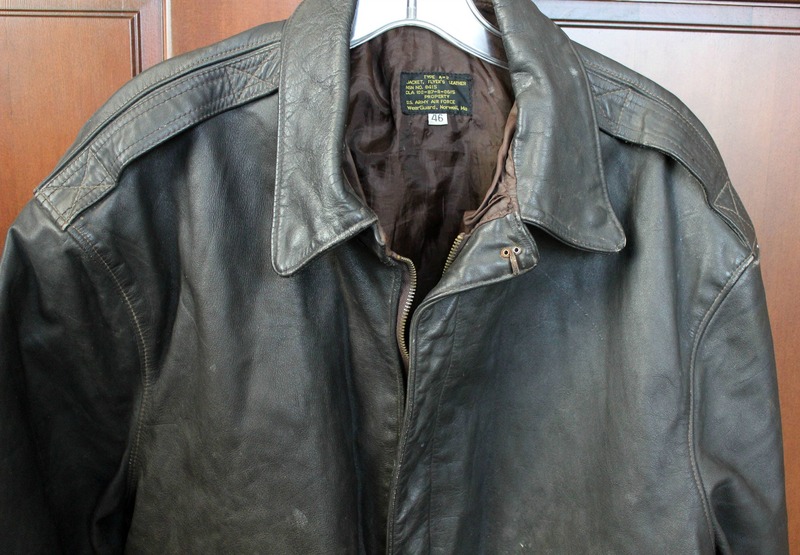 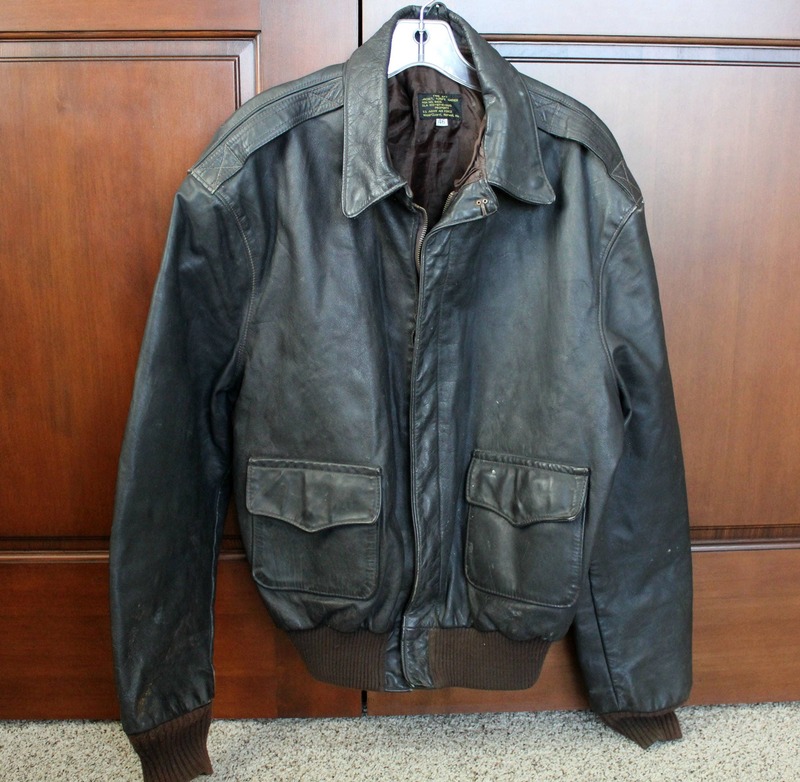 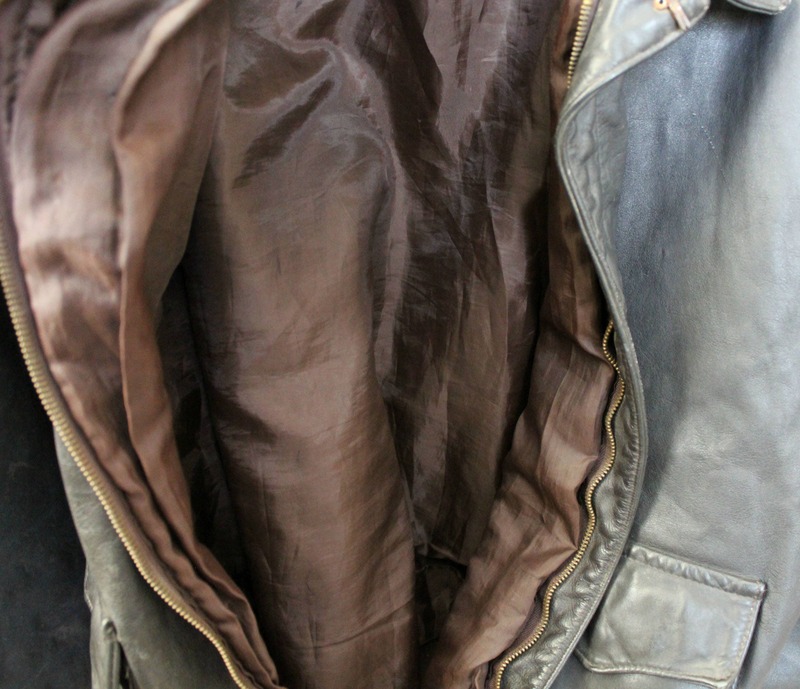 A vintage Type A-2 Army Air Force leather flight bomber jacket. 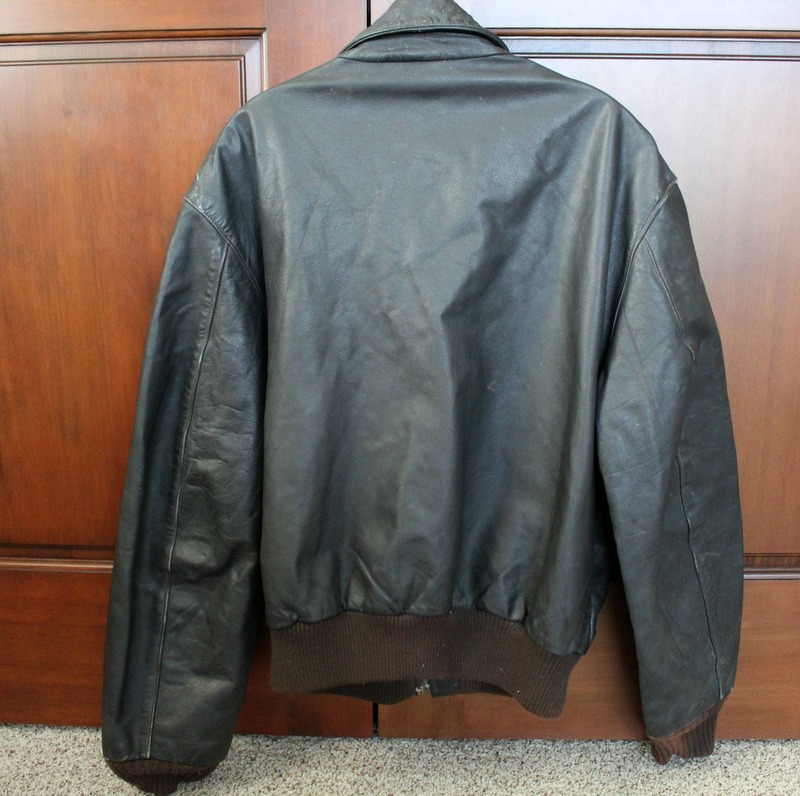 It is brown leather, lined, and has knit cuffs and bottom band. 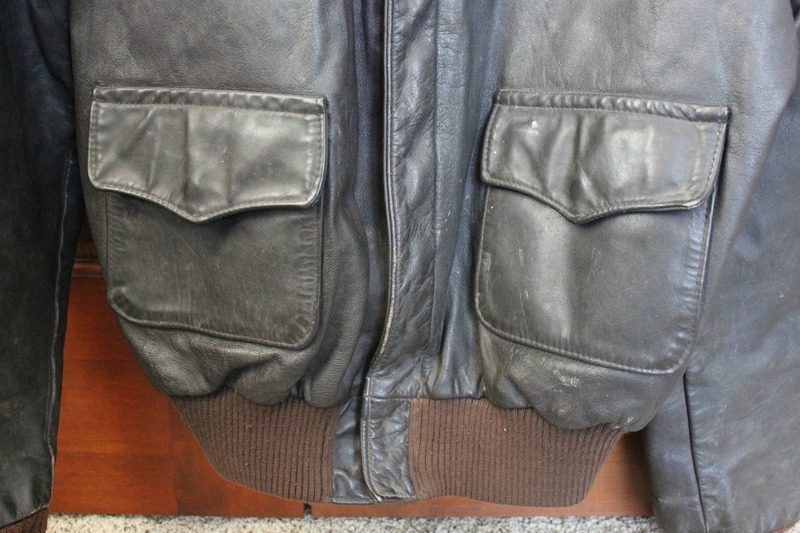 Marked a size 46. 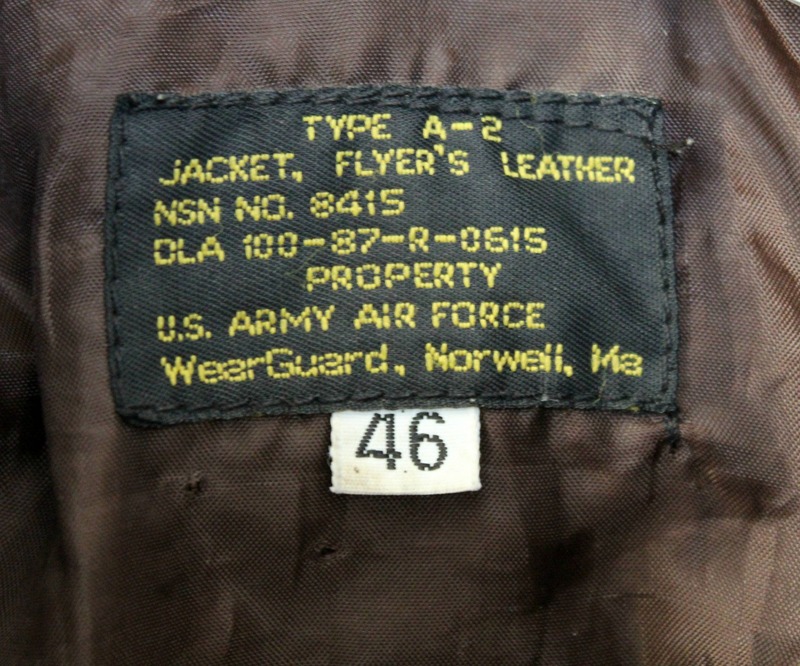 The coat label indicates it was made by Wear Guard. 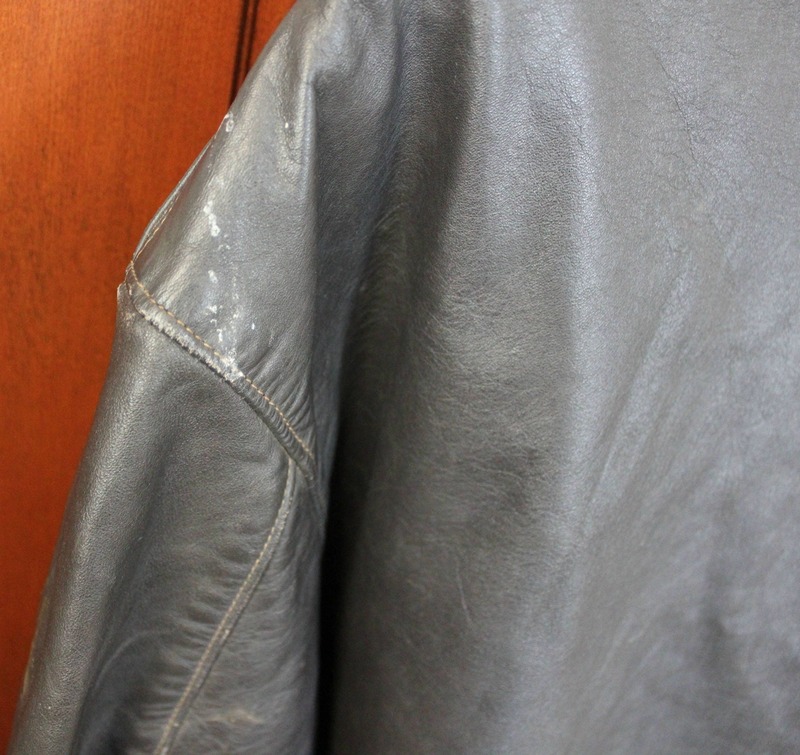 Length from back base of neck - 25.75"
The jacket, although very wearable, has some condition issues. 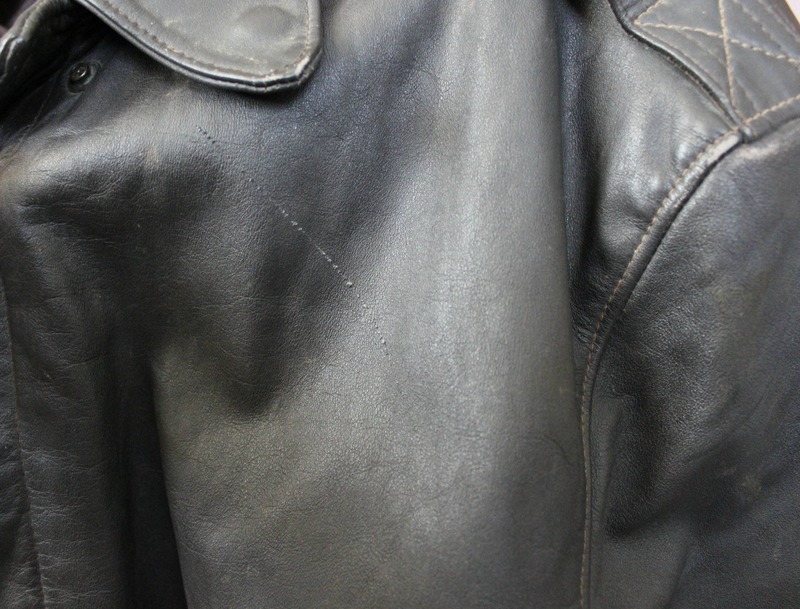 Discoloration (bleaching) to one cuff, various soiled spots and white marks on the shoulder, front and sleeve/cuff areas as shown, as well as a scratch on the upper chest area. 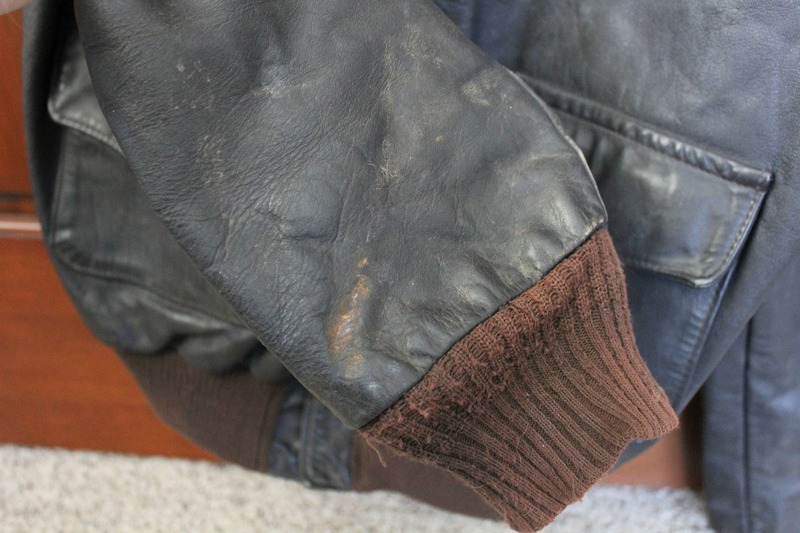 It has not been cleaned so that may help with the spots. 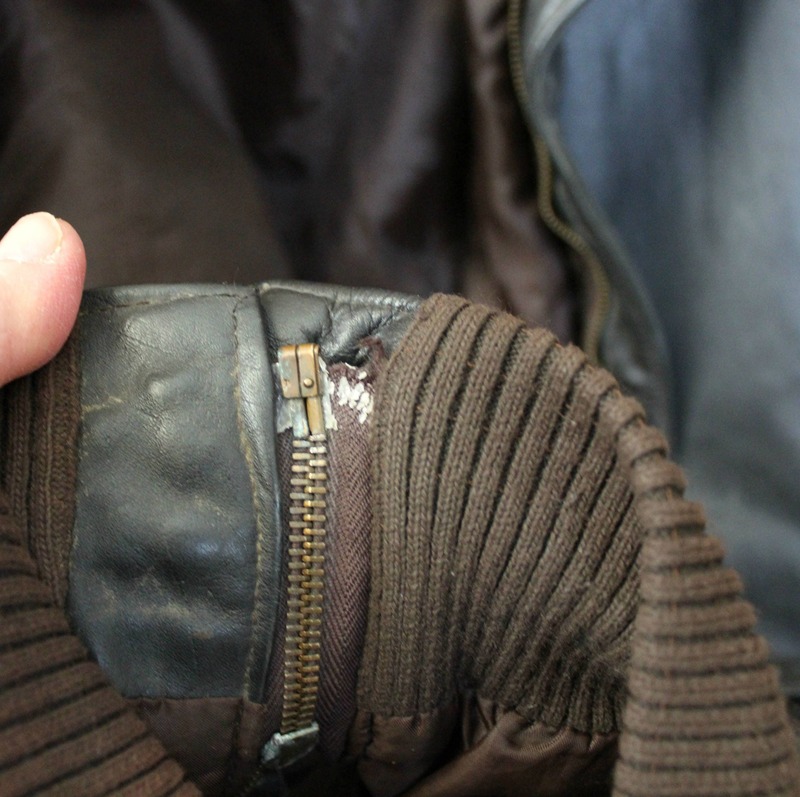 The zipper works but has an issue on the back side where it attaches to the coat.